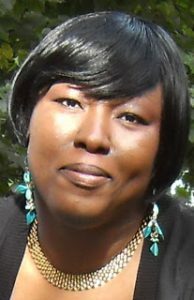 I’m delighted to welcome Lisa J. Yarde to Triclinium today. Lisa writes fiction inspired by the Middle Ages in Europe. She is the author of eight historical novels, including the six-part Sultana series set in Moorish Spain, where rivalries and ambitions threaten the fragile bonds between members of the last Muslim dynasty to rule in Europe. She serves as the social media manager of the NYC chapter of the Historical Novel Society after having been its co-chair (2015-2017). Learn more about Lisa and her writing at her website and through her Brooklyn Scribbler blog. Follow her on Twitter, Pinterest or become a Facebook fan. Join her mailing list for news on upcoming releases. You can buy all of Lisa’s Sultana series here. What or who inspired you to first write? Which authors have influenced you? The opening line of my bio indicates, ‘Lisa J. Yarde writes fiction inspired by the Middle Ages in Europe – but it would be more appropriate to add, ‘the stories of the losers in history.’ Everyone “knows” what happened in the past, when, where and how, because the victors have typically told us. The all-important why is often missing or usually tainted by those who’ve influenced what we think we know of history. I think it’s the job of historical novelists to fill in the gaps in the record with possibilities. The losers in history often have their own unique stories that enhance, or challenge accepted knowledge. Among authors, my greatest influences have been within and outside my genre. Frank Herbert’s Dune series introduced the concept of world-building, which I’ve applied to fully immerse readers in the medieval period. 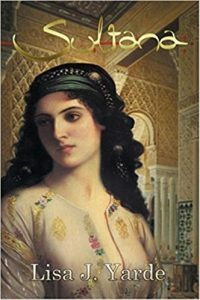 Historical novelists I’ve long admired include Colin Falconer, who inspired my fascination with harems in his novel about Suleiman the Magnificent’s wife Hurrem, and C.C. Humphreys, Jeanne Kalogridis and the late Persia Wooley for her Guinevere trilogy. New favourites have included Ruth Downie with her Medicus series and Giles Kristian for his Viking saga, Raven. What is the inspiration for your current book? Is there a particular theme you wished to explore? Sultana: The White Mountains is part of a series I began publishing in 2011 – amazing how those seven years have flown by and how much I’m still learning. The series chronicles the lives of the last Muslim dynasty to rule southern Spain from Granada’s Alhambra Palace. This final novel is the story of the final monarch commonly known as Boabdil and his only known spouse, Sultana Moraima, who struggled against Queen Isabella and King Ferdinand to maintain an Islamic presence in the Iberian Peninsula. The existence of Alhambra Palace, and the culture of Spain, including its foods and language is a testament to whether they truly succeeded. A religious studies course in the first year of college introduced me to the history of Muslim Spain and I’ve been intrigued since. The theme of the novels is universal: a strong family united by bonds of love. When those bonds fray, family fortunes go awry. The medieval, of course, because so much of what we have been led to believe is wrong. No, medieval people did not run around smelly and ignorant. There was a great exchange of ideas that occurred, particularly beginning in Spain, and led to the Renaissance period. What resources do you use to research your book? How long did it take to finish the novel? Too many over the course of twenty-three years of research! Around sixty books, coupled with articles from JSTOR, Brill, and Academia.edu. By the time I reached book #4 of the series, I discovered I had only needed four of the titles: Las Sultanas de la Alhambra by Barbara Boloix Gallardo, Arab Women in the Middle Ages by Shirley Guthrie, The Alhambra: Volume I by Antonio Fernandez-Puertas, and Reading the Alhambra – A visual guide to the Alhambra through its inscriptions by Jose Miguel Puerta Vilchez, which I found in Alhambra Palace’s book shop in my 2013 return trip to Granada. All the knowledge I needed to write the novels in the series. The others were not a waste, but I could have done well with just those four. I rarely am, but there’s always an online thesaurus handy. Is there anything unusual or even quirky that you would like to share about your writing? I cannot write with other people in the room. Just another presence has been a distraction. Dogs are better company. I cannot write without music that is evocative of the period I’m exploring. Hence, the Arabic and Lebanese music in my music folder. Do you use a program like Scrivener to create your novel? Do you ever write in long hand? Perhaps under quirks, I should have added that I used to begin each new novel in longhand, but I stopped that after 2012. I’m considering Scrivener now for my next series, because of some overlapping events in the history. But I’m taking baby steps with the program. Is there a particular photo or piece of art that strikes a chord with you? Why? 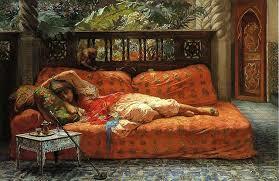 Yes, the inspirational image I kept at eye-level on my computer desk for the Sultana series, The Siesta by Frederick Arthur Bridgman. It’s an Orientalist-period painting in the public domain that I kept coming back to with each successive novel, wondering if I could use it as cover artwork for a book. Then I realized why it would never suit; the Sultanas I wrote about rarely had an opportunity for rest and relaxation as portrayed in the painting. They were too busy securing the future of a dynasty and saving lives. Never stop. If you want to find an agent or editor, never stop querying. You just need one person to say yes. If you want to self-publish, just know that it shouldn’t be a solo effort – hire a cover artist and editor and find some beta readers before you go that route, at minimum. I’m so excited to introduce would-be readers to the world of 15th century Romania in a new series about the father and brothers of the real Prince Dracula. In The Order of the Dragon, Sons of the Dragon – Mircea the Proud and Sons of the Dragon – Radu the Beautiful, learn more about late-medieval legends and superstitions, which abounded throughout the forests and river fortresses of Romania. Journey to the regal but dangerous courts of Hungary, and the Turkish conquests of Adrianople and later, Constantinople. For those who share a decades-long fascination with the historical figures who knew Dracula so well, look for those novels in late 2018 and late 2019. 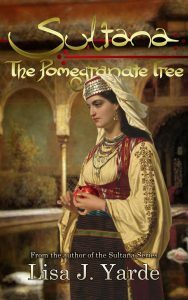 In fifteenth-century Moorish Spain, Moraima, wife of the last Sultan of Granada faces an uncertain future. Her husband’s realm endures terrible odds in battles against dangerous foes. The united Catholic monarchs Isabella of Castile and Ferdinand of Aragón gain ground steadily, encroaching upon Granada, while dynastic rivalries fracture the Moorish kingdom from within the palace. How can Moraima ensure the survival of her family, shattered by warfare and betrayal? 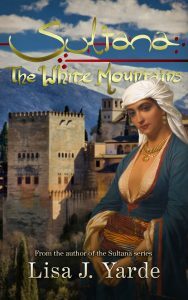 Sultana: The White Mountains is Book #6 of the Sultana series. Thanks so much for sharing your inspiration with us, Lisa. I can’t wait to see your vision of the world of Dracula! Interested in learning the inspiration behind other novels? Subscribe to my Monthly Inspiration newsletter for giveaways and history – both trivia and the serious stuff! 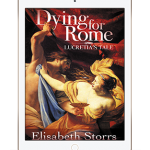 You’ll also receive an 80 page free short story Dying for Rome -Lucretia’s Tale. You’re a new author to me your books sound interesting I’m going to read your book. Thank you the opportunity to win your book. It sounds like a fascinating read. I enjoy historical fiction so this sounds like it’s right up my alley. New author and not a usual time period for me to read. Thank you for sharing about her and her book. So glad that you’ve all dropped by to read about Lisa’s book. I love the fact she writes about a period of history that is not as well known as the more popular historical eras. The series of books on the family members of Dracula sounds intriguing….definitely a new perspective on that time period. Thank you so much and nice to meet you! I do love historical fiction and read every chance I get. This sounds really intriguing! I’ve not read your books, but will have to add them to my TBR list after today. Thanks for sharing your thoughts.